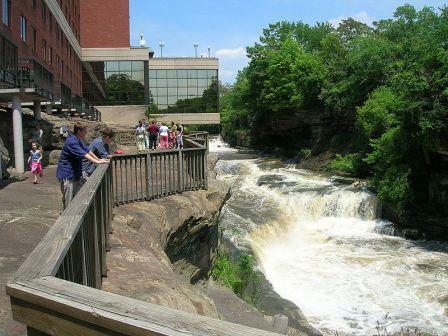 Pictured above: The beautiful Cuyahoga Falls. - Don&apos;t miss the travelogue from JP about his or her trip to northern FL. It&apos;s in the "Florida in General" thread - definitely worth reading! - bmc is feeling dejected about his retirement choices. He is not alone on this situation - anyone care to share some ideas? 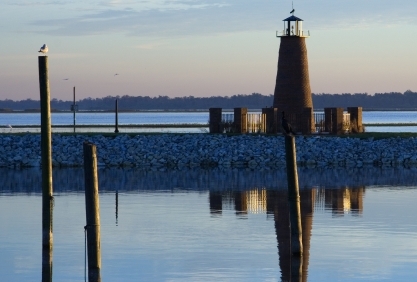 Every year we publish a list of the most popular retirement towns at Topretirements. These are the towns that had the most online visits on our site during the 2nd half of 2009. Positions 1-4 remained unchanged from last year, but 25 new towns made the list for 2010. This pretty little town is in one of the nicest parts of Ohio. The falls that run through town are spectacular. Thanks to the Blossom Music Festival, Cuyahoga Falls is tops for culture too. Please welcome Rarity Bay in Tennessee as a Top Community. Click on a state to see more towns and a list of active adult communities in each. So what that your retirement budget isn&apos;t that great. Thousands of retired Americans are having fun, working hard, and getting free stays at camps and parks across the country. Park City was the scene of the 2002 Winter Olympics. 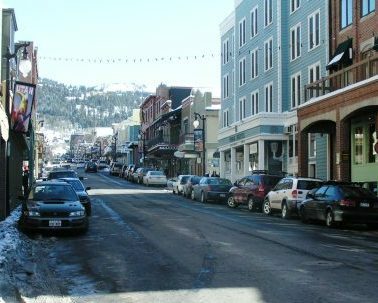 This former mining town below the mountains has a charming downtown with many old buildings and plenty of good restaurants. Outdoor recreation for all 4 seasons is topnotch. We love it here. 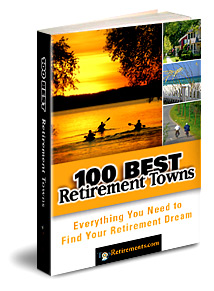 We&apos;ve just finished completely updating and improving our 100 Best Retirement Towns book. There are 25 new towns in this edition, updated real estate prices, and 330 pages of useful information on pricing, where to live, culture, and more. This town in Central Florida&apos;s Orlando area has low housing prices and so is the cost of living. Kissimmee appeals to both families and retirees because of its new infrastructure and developments. Osceola Heritage Park and the events it hosts are a major plus for the town. Check out our new mini-web site on new active adult communities. Don&apos;t miss out on any new article, discussion post, city review, or active adult community listing. Every day you&apos;ll get a short email with links to anything new. Try it! Do you live in a top 55+ community, or do you represent one? We want to hear about it - create a free listing at Add Your Community!